Not Just For Pool Safety: Make Your Pool Fence Part Of Your Backyard Design! One of the challenges facing pool owners today is safety barriers that detract from the elegance and beauty of the surrounding environment. 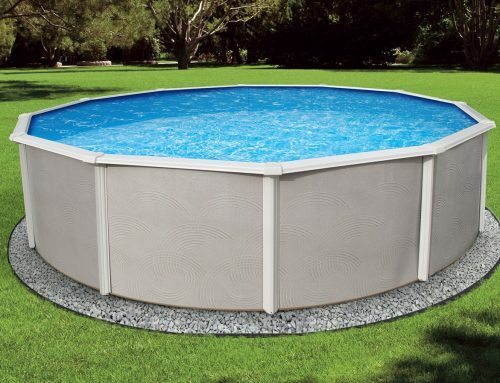 New technologies such as color-matched tear-resistant nylon mesh fencing and double-coated marine-grade support systems provide visually pleasing, decorative pool safety fence systems that seamlessly blend into most environments. New and even patented designs complement varied landscaping themes and the architectural needs of modern and classic homes. By using a transparent interlocking mesh fabric, these fences are able to act as an effective safety barrier around the pool without interrupting the view. The support components of the fence, such as their reinforced marine grade aluminum poles, and patented self-closing gates, are available in the most popular designer colors that harmonize with the surrounding architectural and landscape elements. 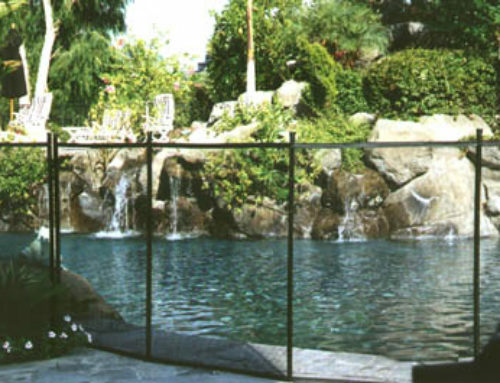 One company, Guardian Pool Fence Systems, Inc. of Van Nuys, Calfornia provides solutions in colors that include silver, black, green, brown, gray, or beige. 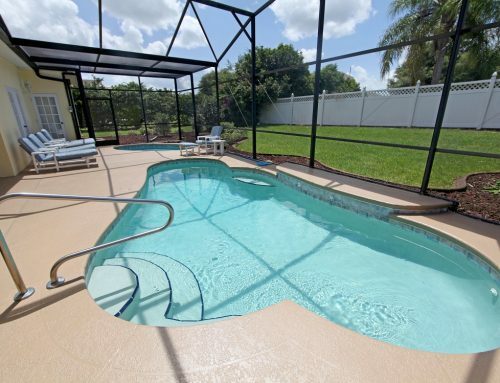 As a result of their efforts, the company has developed and patented a sophisticated and elegant pool safety fence system that integrates seamlessly into the background so that the spotlight remains on the pool and surrounding landscape rather than on the fence itself. Other companies provide steel and iron fencing, as well as wood and reinforced plastics. These solutions meet specific installation and design challenges and can be custom-designed and built on site. The solutions provided by Guardian since 1992 have the cost-benefit of mass-production with the customization (also known as “mass customization”) that produces a very well-integrated and custom fit solution. The end result is often a substantial aesthetic addition to the final pool, pond or spa installation, at cost savings over other systems that are built from scratch. The growing demand for pool safety products to deter and reduce the chance for drowning has caused a marked spike in the need for qualified installers throughout the nation. Guardian has addressed this through a dealer support and training program. Interested parties can visit the web site at Guardian Pool Fence Systems Dealer Program.